You want to know how it feels like to be #FriendsWithBenefitPH? Well, it felt really good! I am lucky to be invited with a few blogger friends to join the Benefit Philippines Team for an intimate get-together at La Creperie. Food, makeup, bonding --- that is more than enough for me! But as always, Benefit always gives more! Even if I've done a couple of workshops with the brand, they were quite "mum" about what was in store for us during the intimate gathering. So I am as surprised as the rest of the bloggers were when I saw THIS! 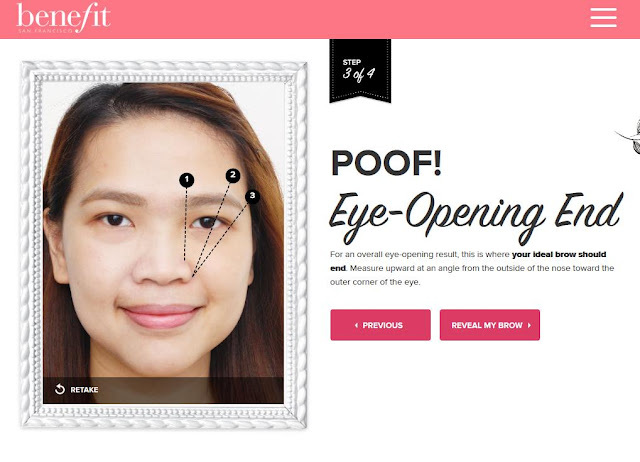 I know Benefit Products by heart, so at first glance, I can immediately spot what's up and coming! For the next few months, there will be new products worth saving up for! 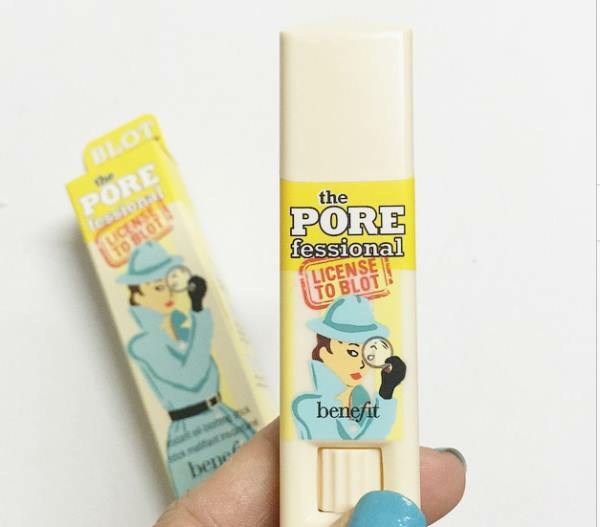 New from the Porefessional Line --- Licence to Blot. Don't confuse this with the Porefessional Balm! The Porefessional Balm is used as a primer to minimize pores. The Porefessional Agent Zero Shine is a loose powder used to "set" or maybe for quick touch-ups. And this --- works the same as your favorite oil-control films! This help remove shine and oil and can last up to 6 hours! Retail price will be Php1,100.00! Then I spotted more They're Real products! The top-selling They're Real Mascara will come in different shades --- Blue and Brown joining their Black counterpart. They're Real Push-Up Liner Black on the other hand will have sisters ---- Blue, Brown, Green and Aubergine! Then, when our hearts settled from all the excitement. 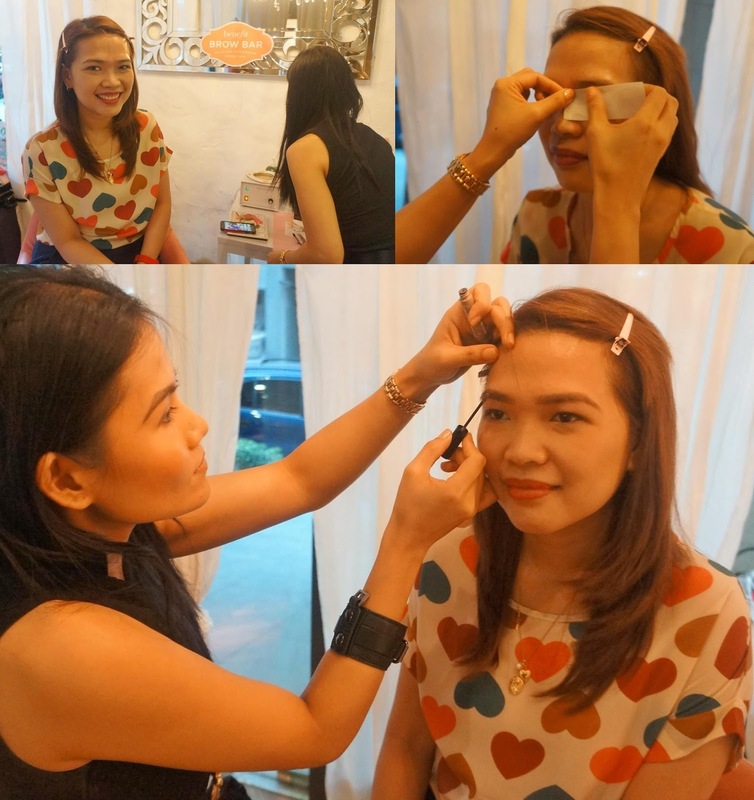 We were introduced to the National Brow Artist for the Philippines --- Ms. Celina Fernandez. I've met Celina on several occasions so many times but never have I tried her Brow Waxing Skills. Luckily, I was asked to be their "brow wax model" for the day and I couldn't be any more happier! Now I understand why she was chosen as the National Brow Artist, she has hands as soft as feathers, her brow waxing skills are amazing! I don't feel any pain at all and time flew by so quickly with her random brow massages! Look for her at Trinoma branch! And just when you are worrying and wondering if it's worth to spend all the money to have your brows waxed? Well, you can try it first for free! How? 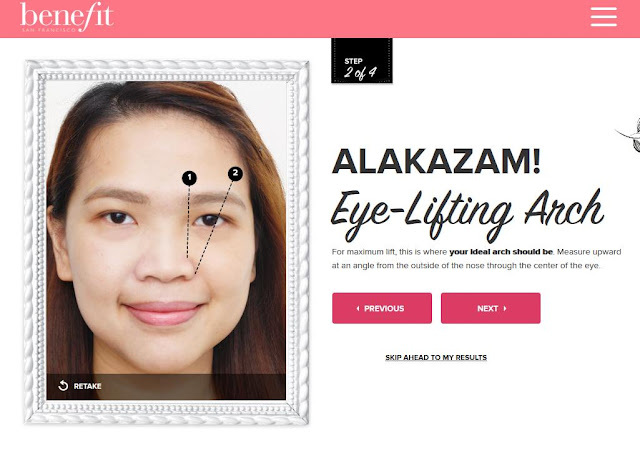 By visiting www.BenefitBrowGenie.com and have your photo uploaded and Benefit will do the rest! After seeing the photos, I'm sure you will never believe how good your brows can look! Congratulations Benefit Philippines team! As always the event was great! We all had fun!!! 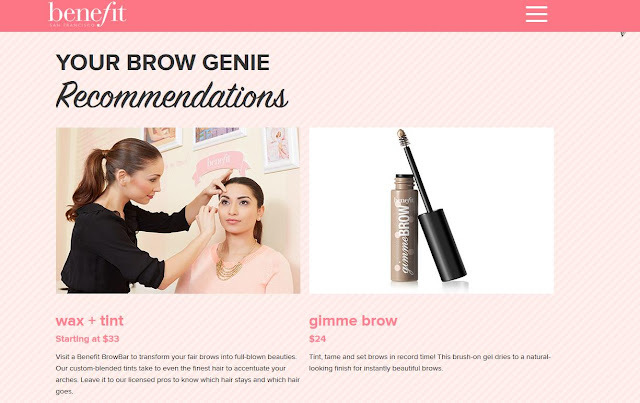 Have you tried the Brow Genie website? How do you like the Before and After photo? They're Real Mascare will always have a place in my heart, ive been introduced by one of my favorite singaporean blogger and she even sent me sample to try it on! it was love at first swipe and i love it, iam saving some for that mascara for it is really quality wise..
Glad to know you love They're Real Mascara! And you'll go crazy with the 2 new shades! I will definitely go back to Trinoma branch and have ms. Celina wax my brows.. after reading this and you stated that its painless, ill go back. (M afraid i wont be able to tolerate the pain coz of my condition.not anymore) i hope they will have this promo na if its ur birthmonth the services are discounted. Hehe.. I think meron pa rin! You go check with them. Re: waxing, you should let them know all the medications you're taking, sometimes if they think you shouldn't have the service done, they'll tell you upfront! Ang galing! 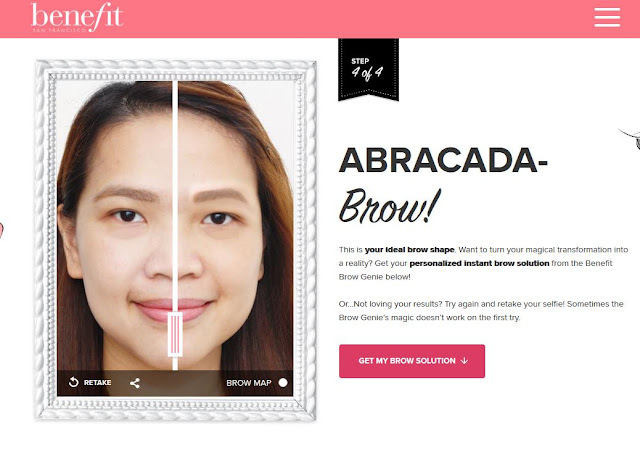 I tried their brow genie just now, kse im writing na abt last Saturday's workshop..since im not sure yet when will i be able to have my brow waxed in real life.. yun muna lagay ko.hehe.